On April 12, WGN America’s enthralling series Underground will center legendary abolitionist Harriet Tubman for the entire episode, proving once again that it is one of the most progressive shows on television. Underground hit the ground running in season 2. The stakes for some characters were heightened and others were repurposed in interesting ways. The show’s main character Rosalee, played by Jurnee Smollett-Bell, was transformed from a fearful runaway slave into a conductor on the Underground Railroad. Noah changed from the strong-willed leader of an escape into a prisoner with little hope. 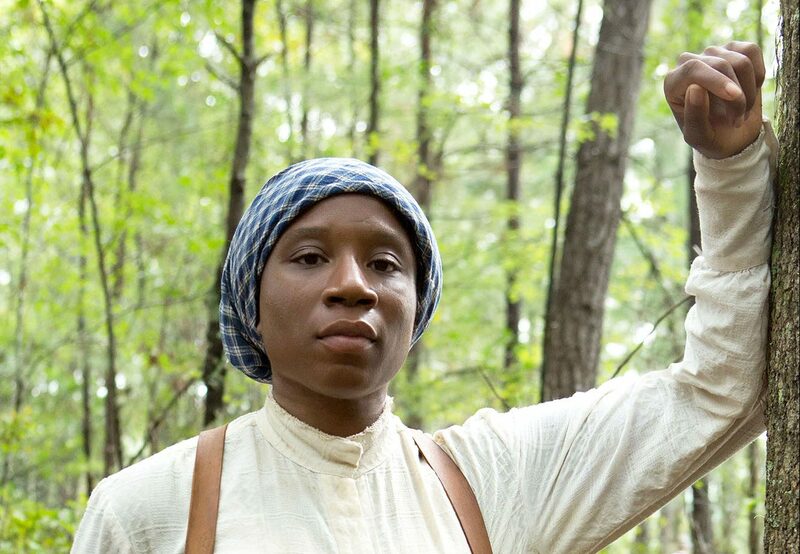 But the most intriguing aspect of this season has been the introduction of the most famous operator of the Underground Railroad, Harriet Tubman, played by Aisha Hinds. So far, Underground‘s Harriet Tubman has been mostly a teacher and an inspiration for Rosalee. But now the trailblazing series is making another unexpected move. On April 12, Harriet Tubman is set to get her own complete episode, commanding the entire hour of programming. The show introduced Tubman in the final moments of the first season. When things seemed bleak for Rosalee, it was Tubman who saved her. As much as I had come to be invested in the lives of the main cast, their stories were overshadowed by the addition of Harriet Tubman. Adding her to the cast was one of the most exciting things to look forward to in season 2. That’s why I was initially upset at the start if this season. Tubman was relegated to a minor supporting role from the start of the season. But this announcement changes everything. As apt as Underground has been at depicting the era of slavery and the fight for freedom, Harriet Tubman needs her rightful reverence. She had a flawless record of ushering slaves to the North. Over the course of 10 years, she over led over 300 slaves to freedom. Despite planned biopics set at HBO and for wide release, it is important to spotlight such an astonishing woman. Dedicating an entire television episode to a character outside of a show’s main cast is a major break from television norms. Traditionally, shows exist to highlight their main casts. The supporting cast works to fill in the holes and add color to the story. Very rarely does a guest star get to be the main attraction of a TV series, much less the only character for an entire installment. But the importance of Harriet Tubman to the entire premise of this show no doubt led to this decision. This boldness proves once again why diversity in entertainment is so important, both in front of and behind the camera. Far too often, we are fed the same types of stories by the same types of storytellers, all trained to operate under the same set of rules. But non-traditional workers behind the camera have the agency to break conventions. In this case, the story of a famous but often overlooked Black hero is getting its overdue spotlight. New minds with a differing set of experiences and a different understanding of the world made that possible. Initially, I had issues with the start of season 2, like many others. But Underground has finally found its footing again, illuminating a new set of realities from slavery. The show has displayed a remarkable flexibility for reinventing itself to keep storylines from going stale. It is prioritizing the integrity of its story and historical accuracy over traditional entertainment norms by putting Harriet Tubman front and center. We should all be applauding that. Knowing the show’s track record and the past work of Hinds, I’m sure the episode will be amazing. My hope is that this type of boldness continues to open creative doors across the television and film industries.